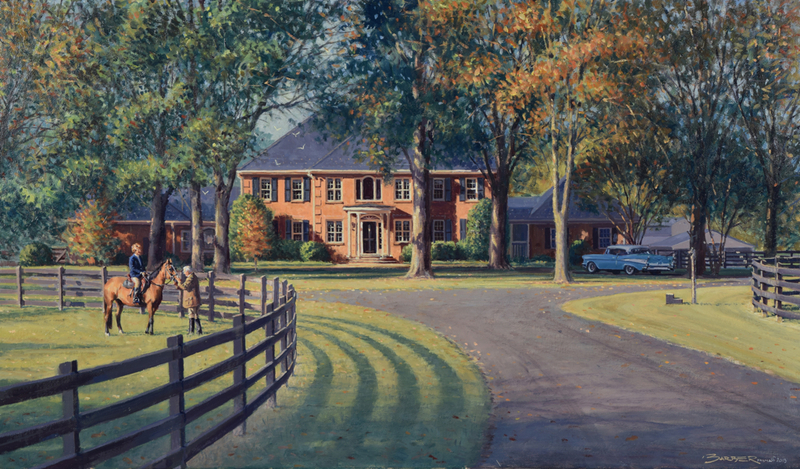 More than a year ago Tom Phillips of Ashland, Virginia contacted me and asked that I do a painting of the home that he shares with his wife Claudia. I enjoy painting architecture and landscapes as well as maritime subjects and readily accepted the opportunity. 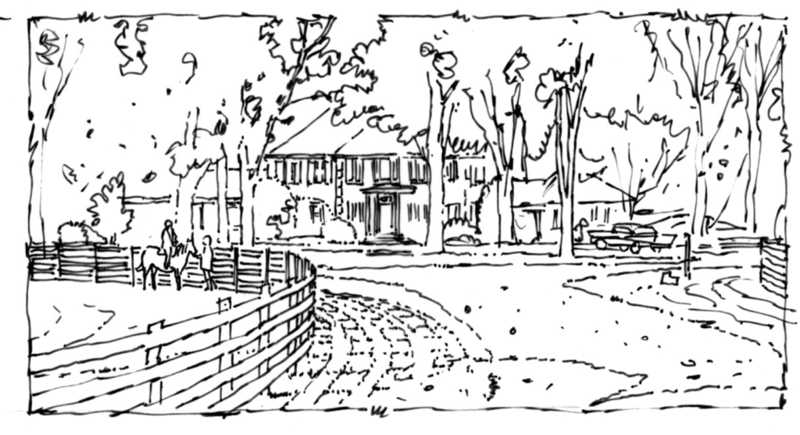 Last fall I visited Claudia at Lakeview Farm and we walked around the property and discussed the project. It became clear that both Phillips enjoyed the 15 horses on their farm; Touchy, being Claudia’s favorite. Tom is an active member of Deep Run Hunt Club, in nearby Goochland County. 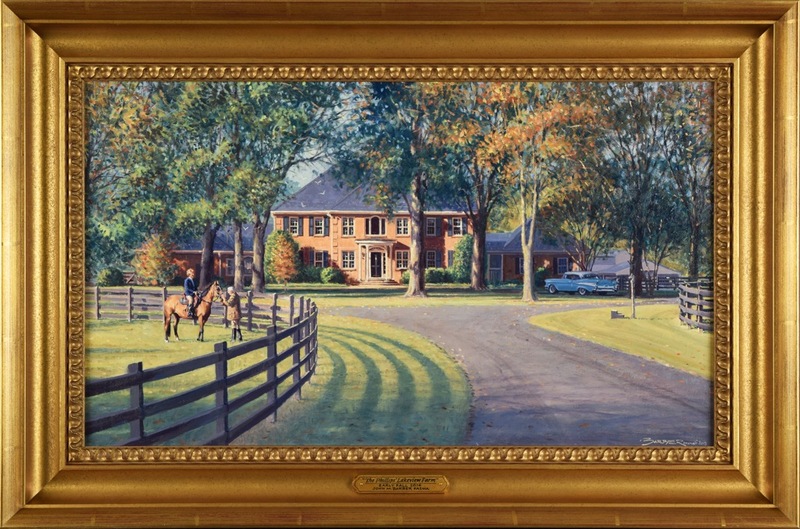 The couple is seen here with Touchy in the paddock of their beautiful Georgian home in Hanover County. Tom is also very fond of his fully restored 1957 Chevrolet Bel Air parked on the drive to the right. 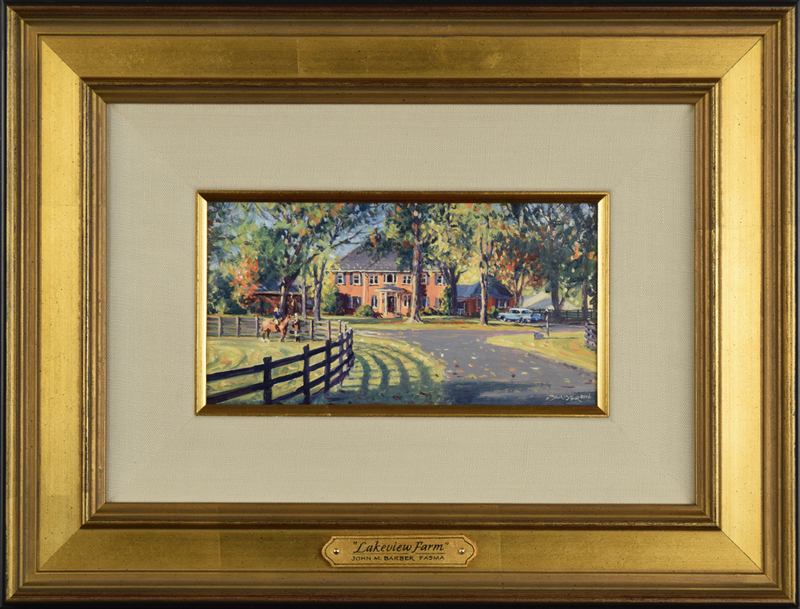 Oil on canvas 13″ x 22″ final framed size 20″ x 29″. Below is the initial sketch, oil study and framed final oil.